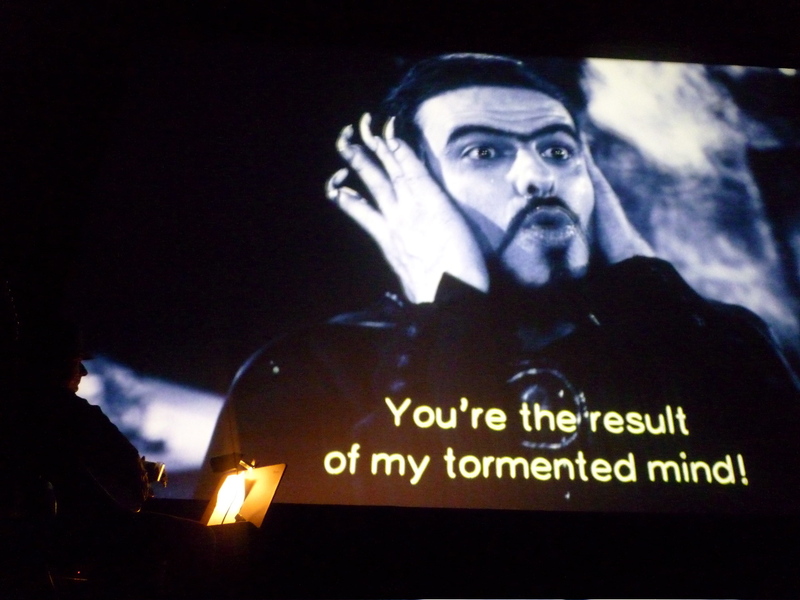 Gary performed the European premiere of his live score accompanying "Esta Noite Encarnerei no Teu Cadaver" at the Melkweg Amsterdam May 11th and 12th 2013...followed by a performance at the Kino Sliska in Llubljana Slovenia May 14th. 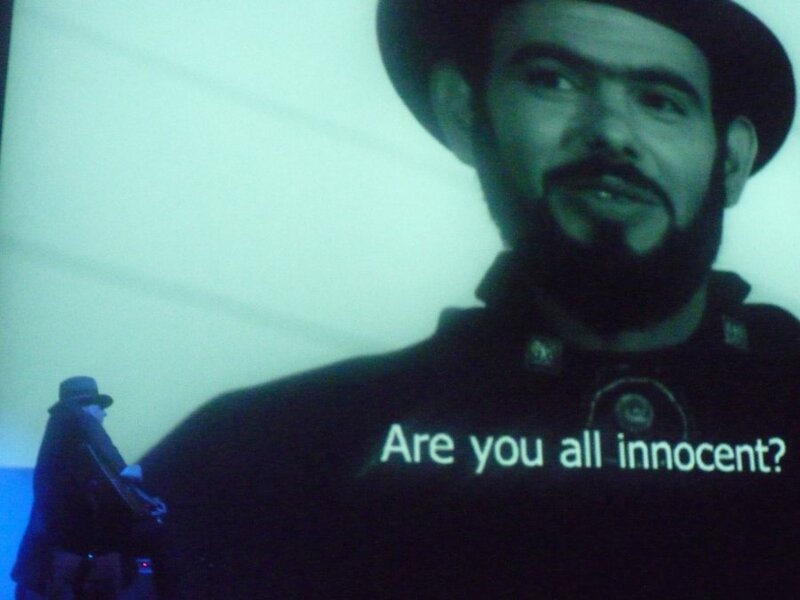 He performed it next in the US on March 1st 2014 at the Wexner Center for the Arts at Ohio State University in Columbus Ohio. 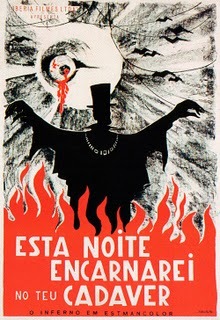 "Excelente! Fabuloso! Gary is a first class musician! 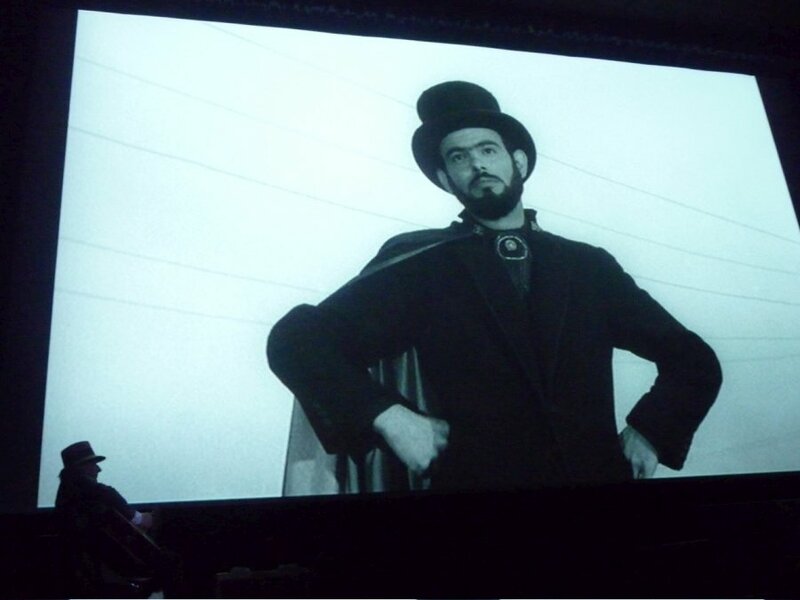 I have always maintained that music is a totaly essential tool to horror films and in the case of this new score to my film 'This Night I Will Possess your Corpse', created so many years after the film was produced, Gary Lucas's score penetrated the soul of the film, as Coffin Joe is empowered to penetrate Souls at Midnight. I definitively hope we can collaborate again!" 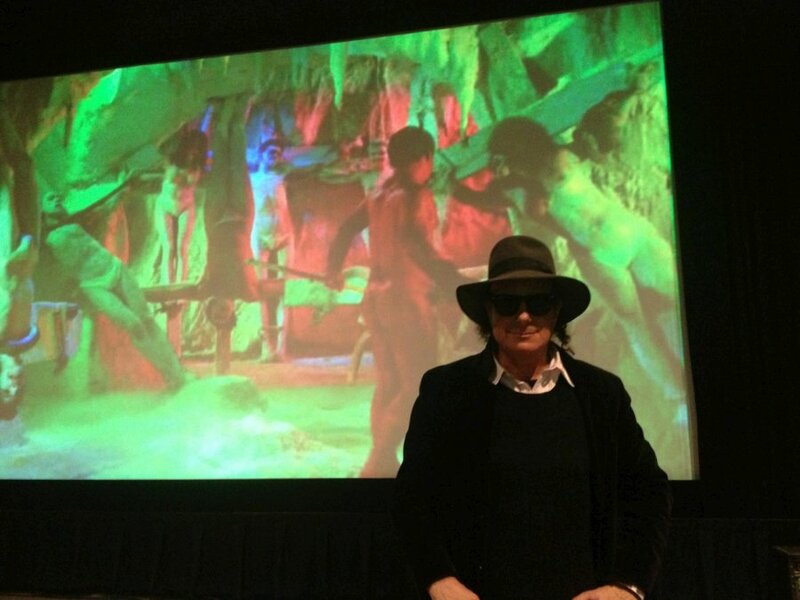 "GARY LUCAS' INSPIRED PERFORMANCE LAST NIGHT MADE MOJICA MARINS' TERRIFIC FILM EVEN GREATER"
"It was an honor to meet you! 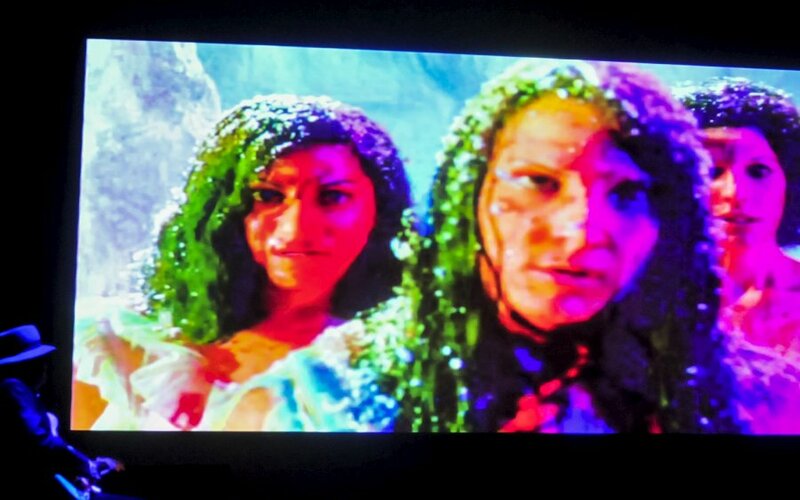 I really enjoyed the show and the score. 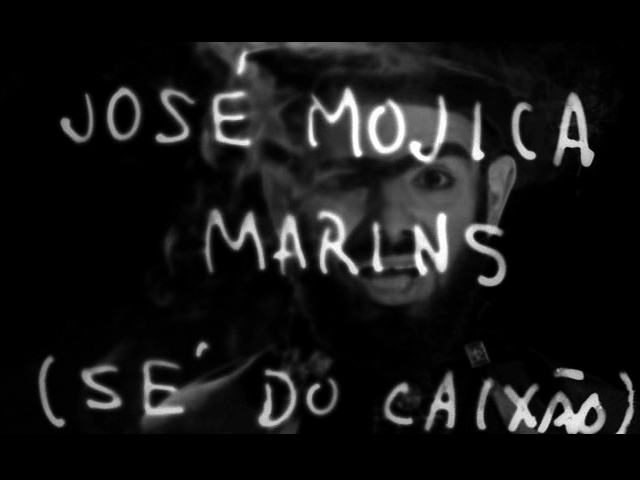 Great to see Marins on the screen again, it has been too long." 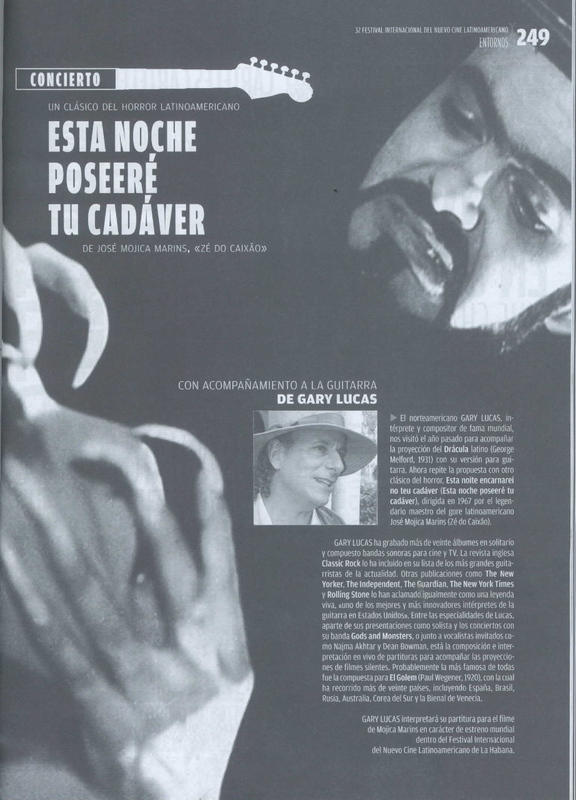 "The only thing better than getting a chance to see unforgettable cult flicks like "This Night I'll Possess Your Corpse" on a big screen is getting an unforgettable live Gary Lucas performance to boot! 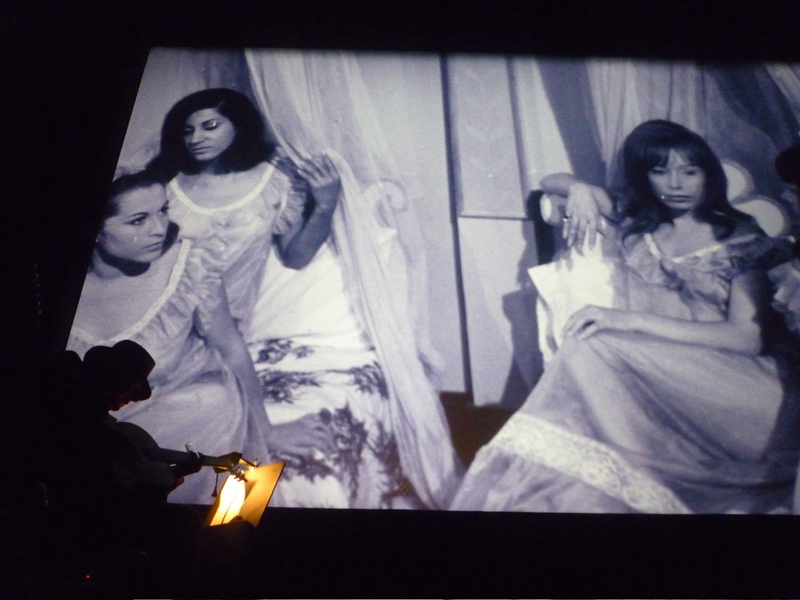 The films are amazing, Gary's composition and performance are amazing, and the organizational skills Gary displays when meshing the two live on stage all combine to make each one of these resurrected films a must-experience event." 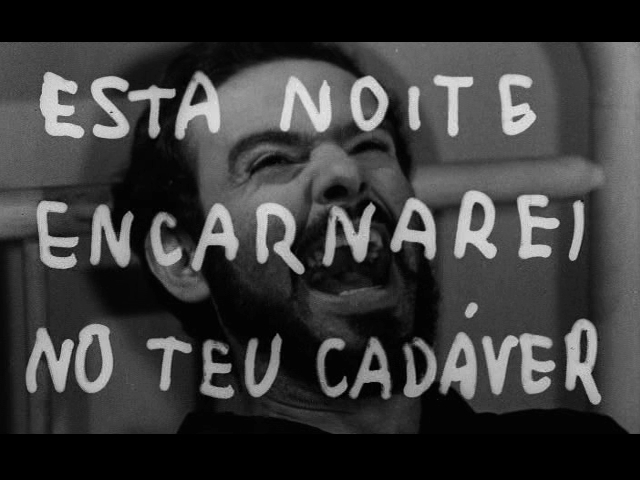 "Gary Lucas' new solo guitar score for Jose Mojica Marins' (a/k/a Coffin Joe's) hauntingly frightening and totally demented 1966 Brazilian horror film "This Night I Will Possess Your Corpse", accomplishes the seemingly impossible result of way further amplifying the miasmic horror of this tale of an exponent of the Nietzschean will to power literally and without limits executing his theories deep in the Brazilian back woods (or "back jungle"), in the guise of a dead ringer for Abraham Lincoln. 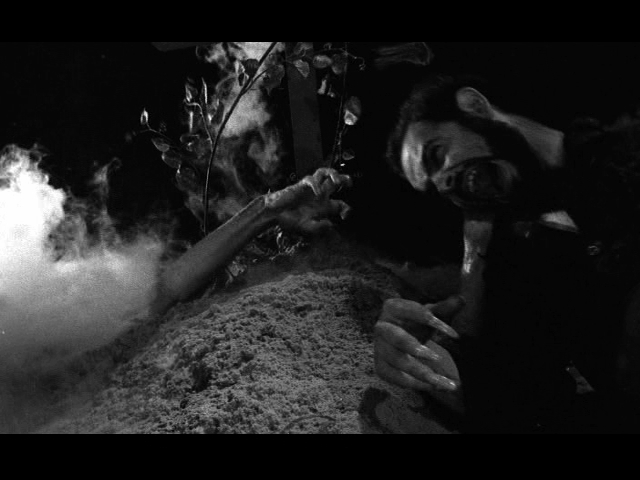 Imagine "Night of the Hunter" made far more extreme by the power of its score and you wouldn't even be half way there! Truly easy listening for a Death Eater." 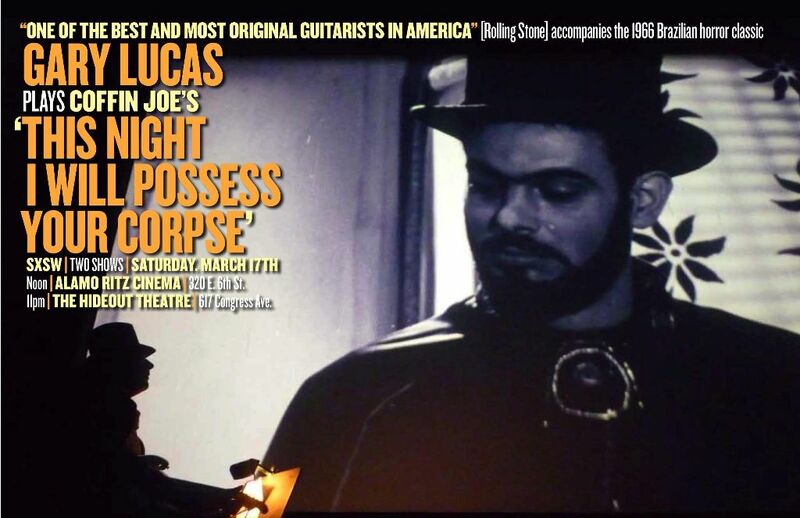 "Gary Lucas once again showed his guitar genius at SXSW in his embodied accompaniment to the Jos� Mojica Marins 1966 Coffin Joe horror classic "This Night I Will Possess Your Corpse". 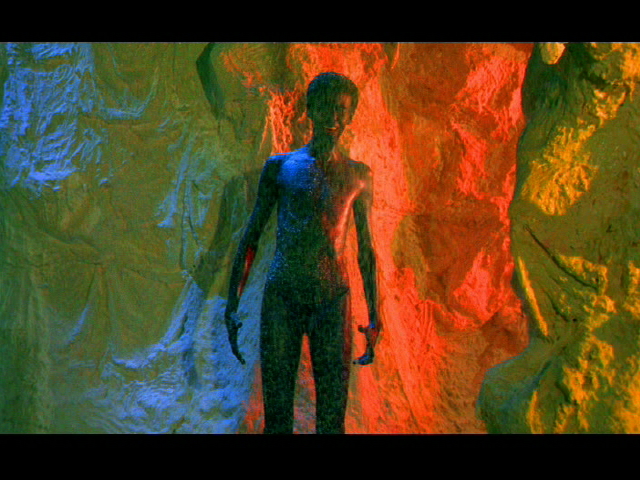 Armed with guitars and pedal box array, Lucas's real-time rendition of the score created a rich ambience of deeper meaning for the cult flick demonstrating that Live makes the Dead come alive!" 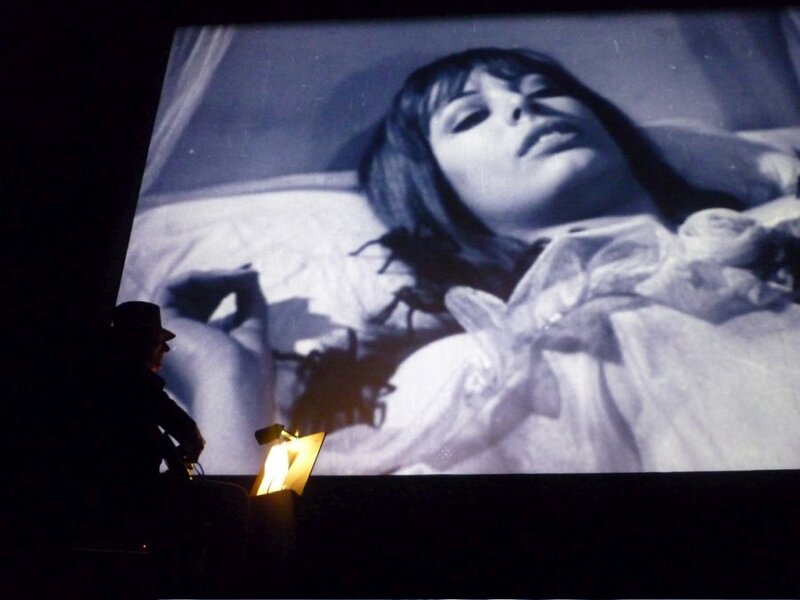 Gary Lucas performed the US premiere of his new live score with this film Thurs. 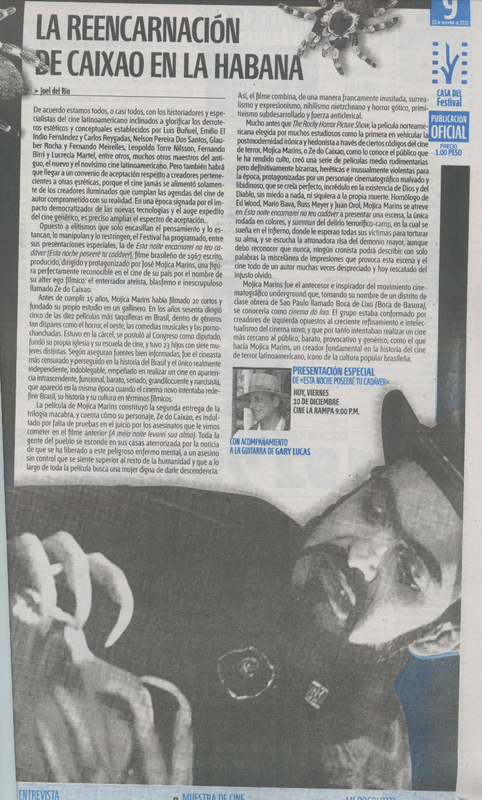 Aug. 11th at the Walter Reade Theater in Lincoln Center as part of the LatinBeat Film Festival—read the VOICE CHOICE for the show! 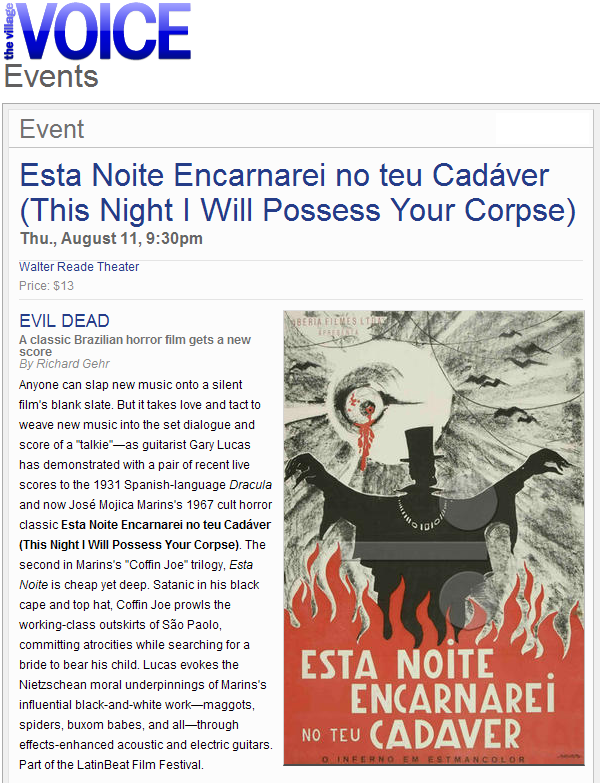 Check out two previews of Gary's world premiere of his new score for Jose Mojica Marins' "Esta Noite Encarnerei no teu Cadaver" at the 32nd Havana Film Festival—from the Festival program book and from the Diario del Festival! 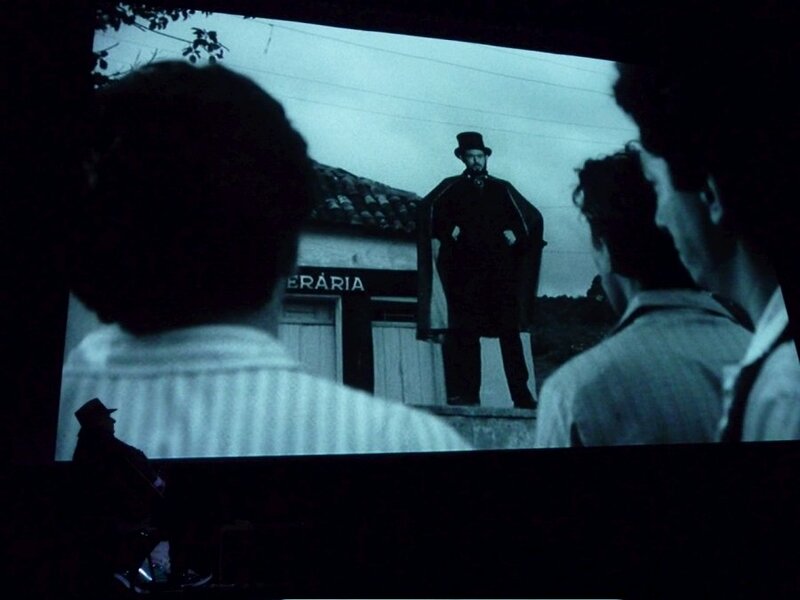 Gary Lucas, dubbed "The Thinking Man's Guitar Hero" (The New Yorker) and "one of the best and most original guitarists in America...a modern guitar miracle" (Rolling Stone), returns by invitation of the Festival Internacional del Nuevo Cine Latinoamericano to perform the world premiere of his new live solo guitar score accompanying celebrated Brazilian cult director Jos� Mojica Marins (a/k/a Coffin Joe, Z� de Caix�o)'s 1967 horror cinema classic "Esta Noite Encarnarei no Teu Cad�ver" (This Night I will Possess Your Corpse) at the 32nd Havana Film Festival on Friday Dec. 10th at 9pm at the La Rampa Cinema in downtown Havana. 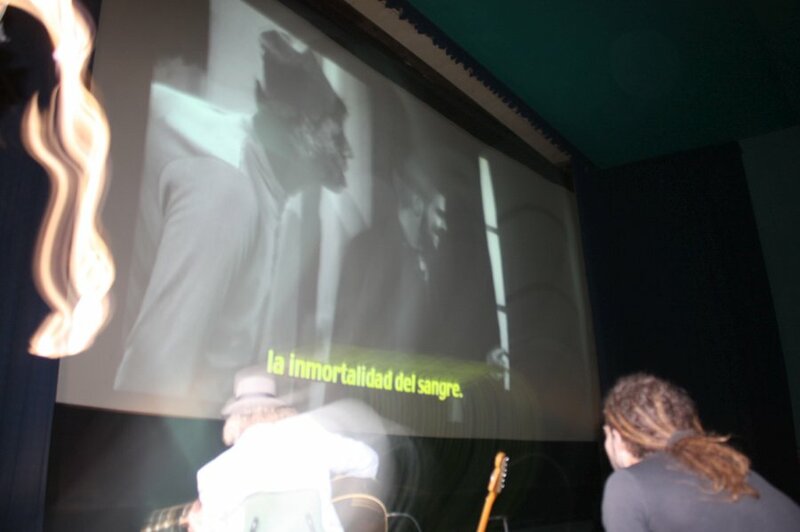 This marks the second world premiere at the Havana Film Festival for Gary Lucas, whose live solo guitar score accompanying the legendary 1931 Spanish-language "Dracula" debuted at the 31st Havana Film Festival last December to great acclaim. 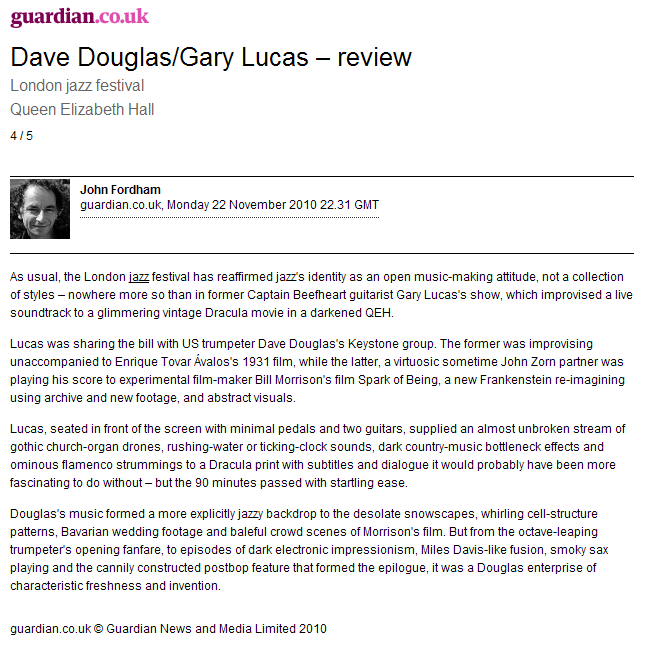 Lucas has gone on to perform successfully with Spanish "Dracula" this year at the Transylvania International Film Festival, the 48th New York Film Festival, and the Sevilla Film Festival, where played to a full house and received a standing ovation—and he just performed the UK premiere in London closing the London Jazz Festival at Queen Elizabeth Hall to a rave review in The Guardian. 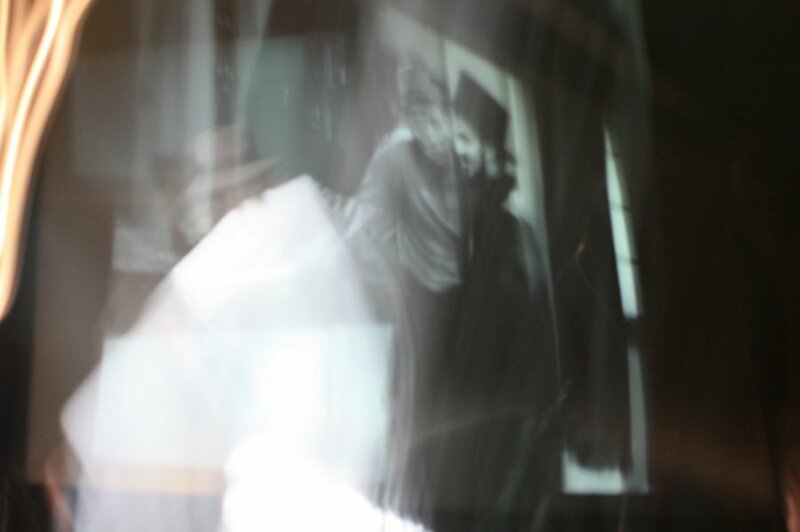 Gary Lucas has long had a penchant for reanimating classic horror and fantasy cinema classics with his eerie original solo guitar music, going back to his acclaimed live score for "The Golem" (1920, d. Paul Wegener and Carl Boese), which he has performed all over the world since debuting the work in 1989 at the Museum of the Moving Image in New York—including well-received performances at the Venice Biennale, Royal Festival Hall in London, NYC's Lincoln Center, in Moscow, St. Petersburg, Tel Aviv, Berlin, Sydney, Melbourne, in S�o Paulo (where he had lunch last year with Jos� Mojica Marins), and also in Prague, home of the Golem. 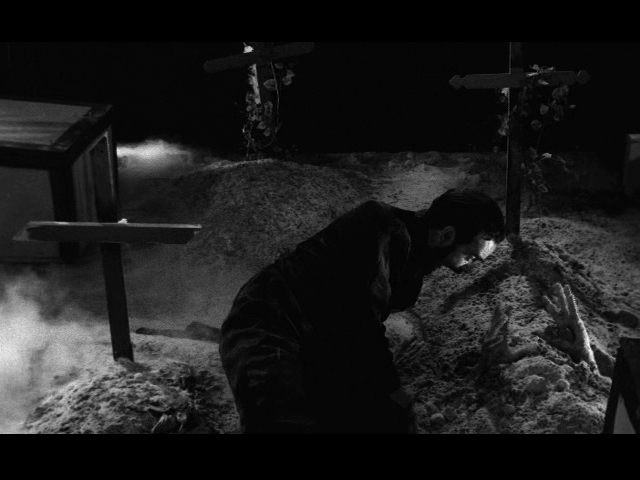 Lucas has been a major fan of director/actor/screenwriter Jos� Mojica Marins' work for many years now after first reading about his Coffin Joe films in the pages of Famous Monsters of Filmland magazine in the 60's, and was totally captivated by his first encounter with "Esta Noite Encarnarei no Teu Cad�ver (This Night I Will Posess Your Corpse)", the second film of Marins' 60's Brazilian trilogy, which he admires as the ne plus ultra of Marins' work. 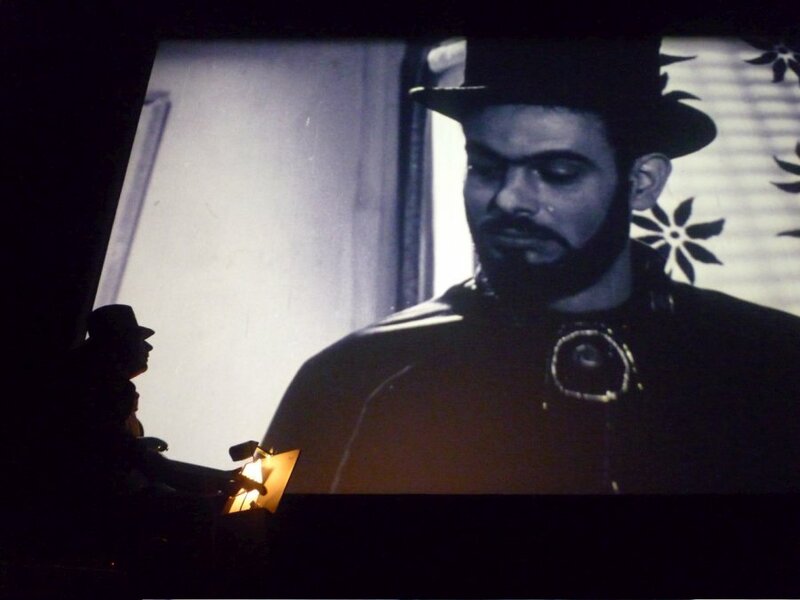 He considers Jos� Mojica Marins, whose parents operated a local cinema in S�o Paulo, a surrealist cinematic genius—the missing link between Mario Bava and Luis Bunuel—and remains in awe of his total command of cinema in the face of poverty row budgets and the looming threat of censorship and imprisonment under the 60's right-wing Brazilian military junta when Marins' work first came to light. 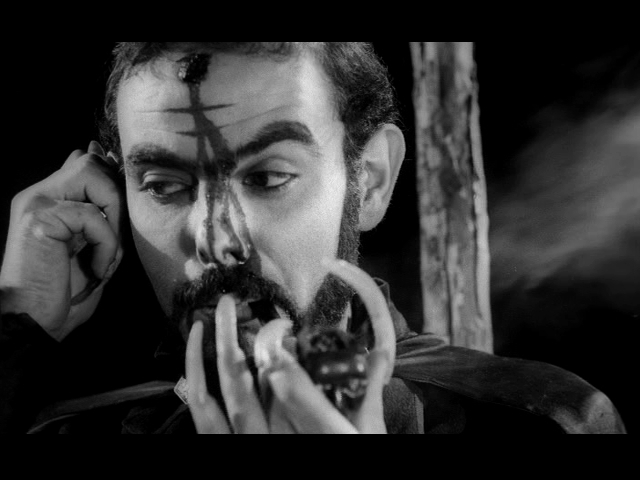 An underground Brazilian folk hero and legend, Coffin Joe went on to inspire a spate of Brazilian comic books devoted to the character and even pop music songs celebrating the demonic anti-hero, and spawned numerous sequels including last year's "Encarna��o do Dem�nio (Embodiment of Evil)". 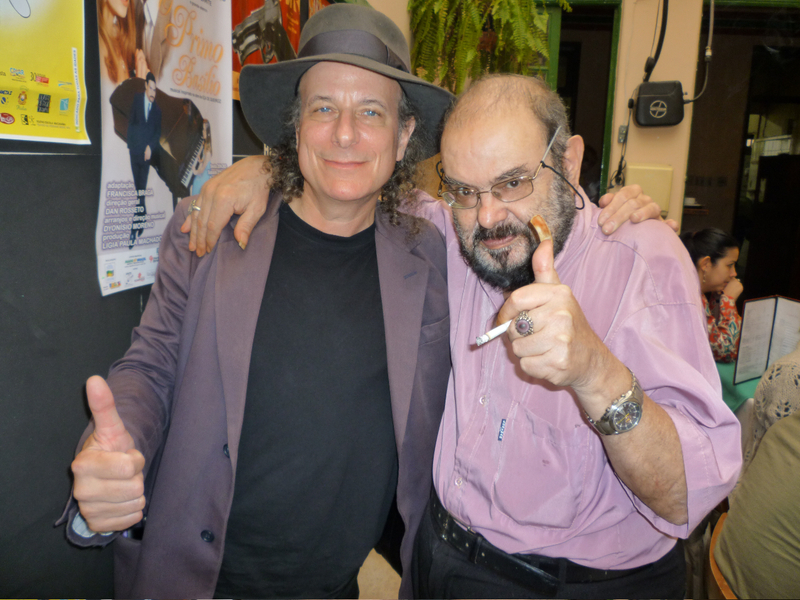 Gary Lucas is one of Marins' biggest fans, whose worldwide legion also includes Brazilian leftist director Glauber-Rocha and current Brazilian President Inacio Lula. 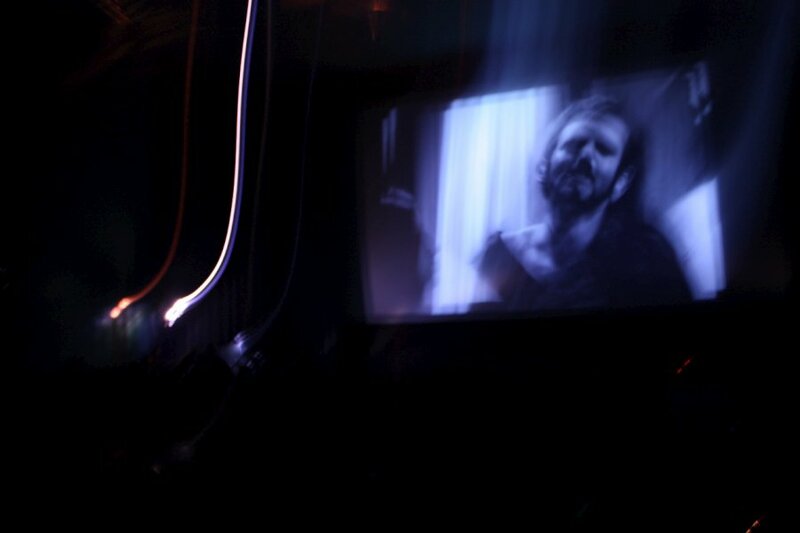 Lucas' new live solo guitar score for "Esta Noite Encarnarei no Teu Cad�ver" utilizes both electric and acoustic guitars and several effects pedals to create a haunting, symphonic and disturbing score closely synched to the shocking images of Marins' film, a dark Nietzschean morality tale pitting Marins (ever the total auteur, both the director and the star of the film) as Coffin Joe railing against the forces of a pitiless (and seemingly) God-less universe. 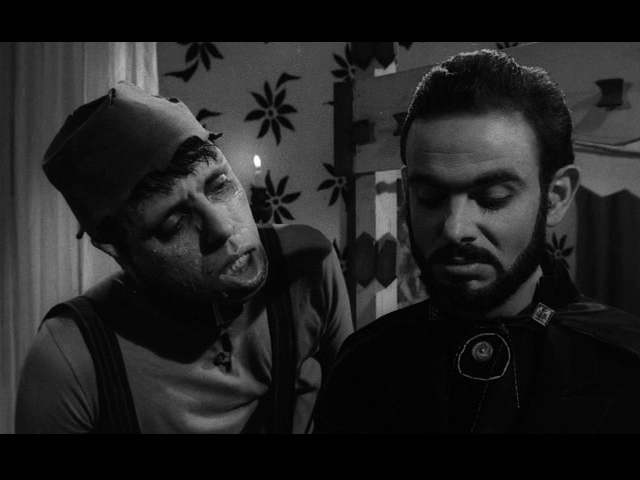 The total incarnation of Evil, Coffin Joe is on the prowl in the outskirts of S�o Paulo in search of the Perfect Mate by which to generate the Perfect Son...and will think nothing of maiming, killing and torturing anyone who gets in his way on his quest. 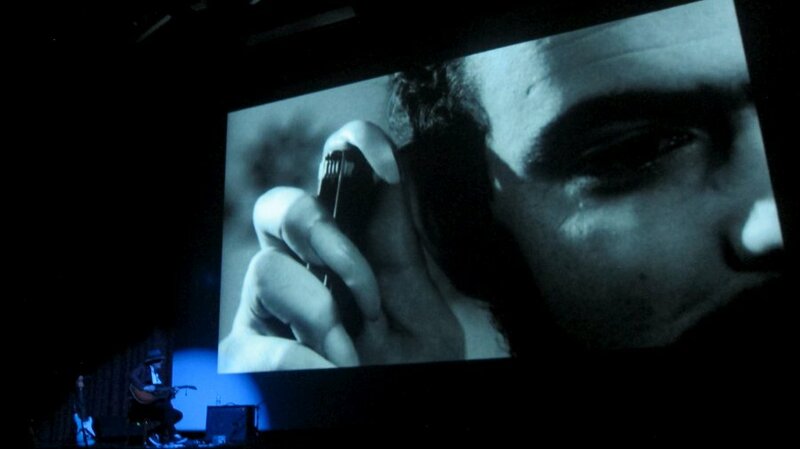 Lucas' new live score weaves in and out of the film throughout and complements closely the original soundtrack—which consists mainly of dialogue in Portuguese, sound effects, and occasional canned film music—to heighten, complement and enhance the overall experience of the film for the viewer.